The Egyptian Olympic Committee decided earlier this week to send home Egyptian judoka Islam El Shehaby for refusing to shake the hands of his Israeli opponent at the end of a match. “The Egyptian Olympic Committee has also strongly condemned the actions of Mr Islam El Shehaby and has sent him home,” said the IOC in a statement, adding that Egypt’s Olympic Committee had issued a statement declaring respect for all athletes of all nations at the Rio 2016 Olympic Games. 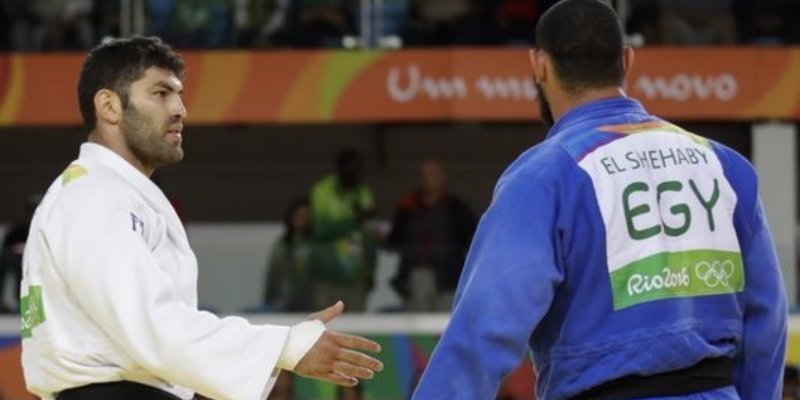 The IOC added that, while the rules of judo do not require the shaking of hands, the behavior by El Shehaby was unacceptable. “The Disciplinary Commission (DC) considered that his behavior at the end of the competition was contrary to the rules of fair play and against the spirit of friendship embodied in the Olympic Values,” said the IOC. It is unclear when El Shehaby was sent home by Egypt. However, he did not have any other appearances at the Olympics following his loss to Israel’s Or Sasson. Despite the incident, the International Judo Federation had praised the decision to participate in the fight against the Israeli shortly after the end of the match. “This is already a big improvement that Arabic countries accept to (fight) Israel,” said spokesman Nicolas Messner to Associated Press. Ahead of the match, El Shehaby had been under immense pressure to withdraw from the match. Despite signing a peace treaty with Israel, many in Egypt still view Israel negatively and with hostility.